Lot:3026 1915 Indian Quarter Eagle. MS-65+ (NGC). 1915 Indian Quarter Eagle. MS-65+ (NGC).An enchanting Gem, both sides are bathed in a blend of medium gold and pinkish-rose patina. Sharply to fully struck with bountiful mint luster and an exceptionally smooth appearance. 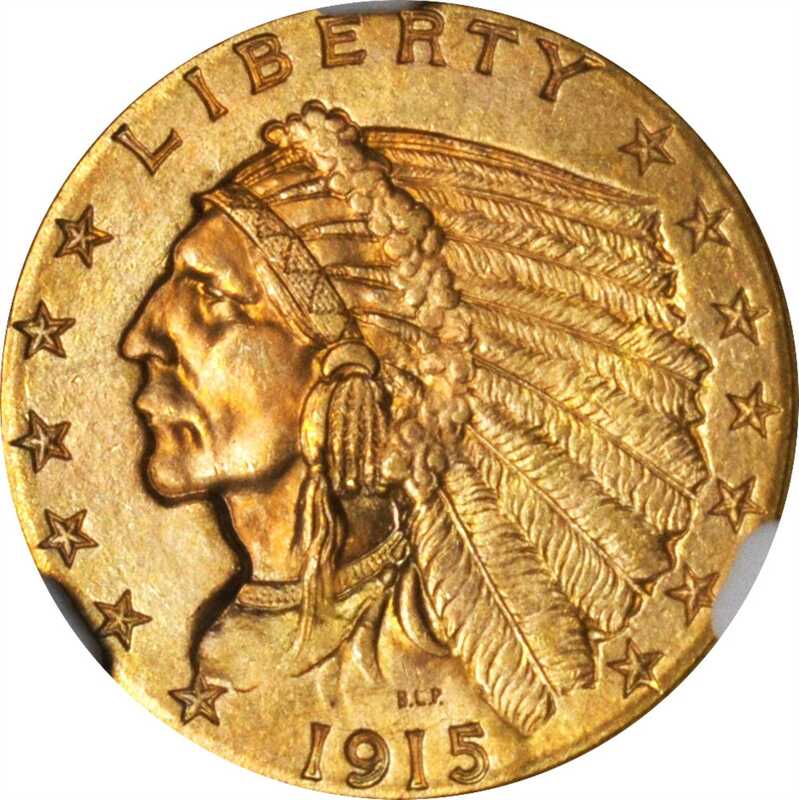 The final early date issue in the circulation strike Indian quarter eagle series, the 1915 is also one of the most common of its era in terms of total number of Mint State coins known. At and above the MS-65 level, however, this is a rare and underrated issue, especially when compared to the Roaring Twenties issues of this type.